UFO SIGHTINGS DAILY: CONTACT: THE UFO ALIEN COSMIC CODE And How Deep Does It Go? UFO Sighting News. CONTACT: THE UFO ALIEN COSMIC CODE And How Deep Does It Go? UFO Sighting News. About 10 years ago, some Korean cloning expert scientists came out and said that an alien code was discovered in human DNA, and that it was the main cause of cancer, due to its mistakes in linking to the human DNA. How deep does the code go in us, the Earth, the solar system, the universe, space and time? Presented in this movie are the details of an unknown Alien form of communication. UFOs are appearing in the sky in group formations that match major Galactic constellations in Space. Ancient structures such as the Pyramids of Egypt also reflect these same galactic constellations within their layout and design. Today with the aid of video cameras, "smart phones" and the internet, these galactic UFO formations are being seen by billions of people worldwide. 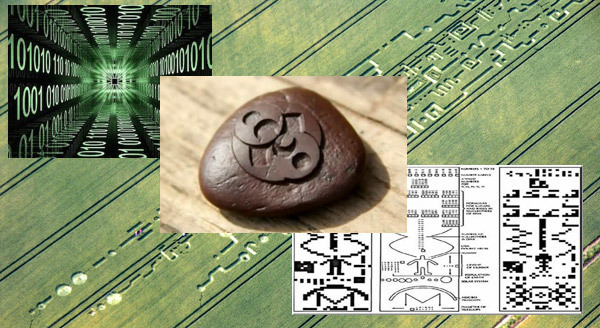 Clearly, a sophisticated coded language is now being broadcast all over the world through the distribution of UFO videos and has also been memorialized for all time through the placement of ancient pyramids and sacred sites. What does it all mean? Join us as we discover our true place in the cosmos.